Here is my official Power Life Pro scam review. 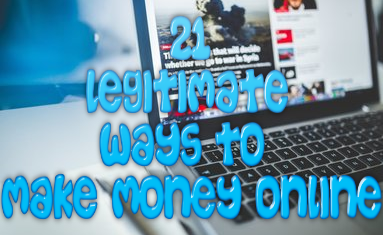 I cam across this opportunity both on YouTube and Backpage.com, After reading through promises and promises of how much money I can make with the system, I needed to know for sure if this opportunity was too good to be true. The Power Life Pro scam is an online marketing system that has become one of the most popular opportunities that you will find online today. This whole system was made as a means to help sell Enagic Kangen water systems as well as help to promote the make money opportunity to others. This program is primarily targets to those who want to make a lot of money online and for those who can afford the initial investment in the water system. Keep in mind, if you have enough for the initial investment, can make plenty of sales and build up a strong team, then you CAN make plenty of money with this opportunity. As stated, this program will cost you a couple of grand depending on a couple of factors. For starters, if your credit is good and you qualify, you can finance one of the water systems with $0. However, if you don’t qualify you will have to fork over a couple of grand. This is how much each water machine costs and what you can expect to pay if you don’t qualify for $0 financing. While it is true that you can make money online selling high ticket commission items, it is not the best solution for making money online for newbies in particular. The same can hold true for this program because you need to worry about two primary things: making sure those who you sell to have great credit or have the money to purchase one of the many water systems that go for thousands of dollars apiece. For a newcomer to this system, they are going to have a harder time than any other program out there because they will not have the skills and knowledge to sell high ticket items to interested customers let alone know how to promote it perfectly. Even I would have a hard time promoting this product because there are not many people out there who would invest this much money in the first place. If you are financing the machines for this program, unless you pay on time, this is one of those few programs out there that will affect your credit. I’m sorry but I would rather promote a program that would not affect my credit, which is so important, in the case I can’t pay for the machine. As far as complaints and reviews go for the Power Life Pro system as left by actual members and people who had the opportunity promoted on them, the reviews and complaints are a straight 50/50. Some people like it, some people think the opportunity is a joke. Just take a look for yourself below what some people have been saying about this opportunity. After looking into this program carefully and actually talking to actual members of this program, this is not a program I can confidently recommend to others. 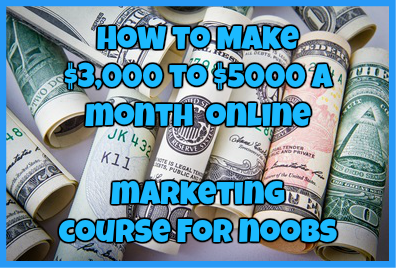 While there are many big name marketers who promote this program, these marketers are way ahead of the curve then you will be especially if you are starting from scratch. For starters these big name marketers will already be promoting the program to their massive email list and may have business partners who will invest as well. You on the other hand, will be starting from the bottom with absolutely no email list or interested business contacts. You need to keep in mind that the Power Life Pro system is a program that is used to generate business partners and multiple sales for a company that has been around for several decades. However, even with that in mind you need to keep in mind that the product is way over priced and there are not many people who are willing to invest in it. With that said this is one program I caution you to stay away from, especially if you have no marketing experience and do not know how to sell products online. If you are a total newcomer to making money online, with this program you will NOT make money. You will only get caught up in the hype and be out thousands of dollars in the end. Have you tried the Power Life Pro system? If so, how did it work for you? Regardless, let me know in the comments below. ← Writer Help Wanted Review-Can This Website Help You To Find a Writing Job?